The Vampire Diaries Star Candice Accola Pregnant, Debuts Baby Bump: Will Her Character Caroline Be Pregnant Too? 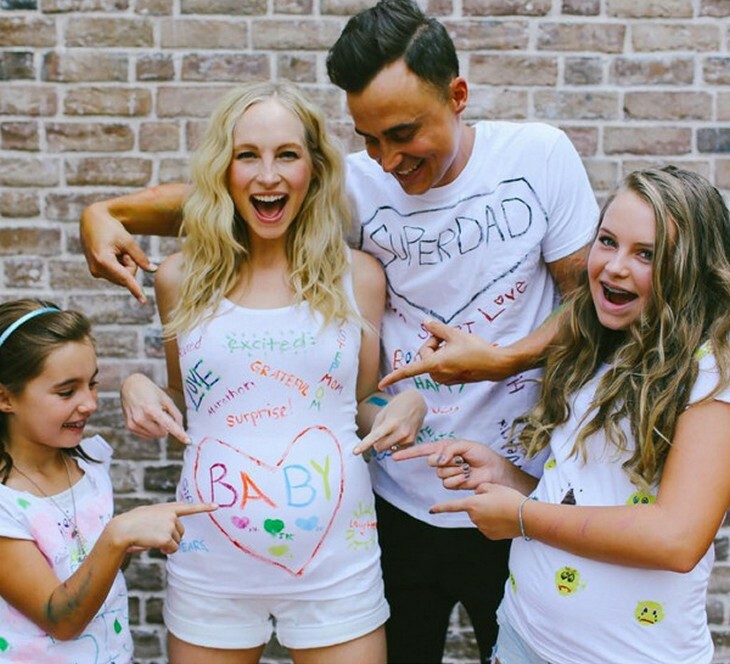 Candice captioned the big pregnancy announcement, “Sometimes a Saturday is best spent painting t-shirts and taking an awesome family photo. Happy Monday everybody! #ThatAintNoBurritoInMyBelly.” Candice’s hubby Joe also confirmed the pregnancy on his page and sent out this sweet message on Monday August 31, “So proud to welcome this new life into the world with my beautiful wife and daughters. I truly am a lucky man & dad.” So far there is no news yet on the baby’s gender, or the actress’s due date. The Vampire Diaries fans flooded Candice’s Instagram page with congratulations, and wished her luck with the new baby. And, then the speculation begin. Everyone is dying to know how Candice’s pregnancy will effect the storylines of The CW drama. Will the writers make Candice’s character Caroline pregnant with Stefan Salvatore’s baby? Or does this mean that they will write Caroline out of the upcoming season because she is going on maternity leave? Let us know what you think in the comments below!